Jessica Chapnik Kahn has a certain mystique as she glides through life, encrusted with glitter as the spiritual creation of Appleonia. OH! is her first album of her own material, and thanks to Vittoria Coffee, can be downloaded for free here. With each download, its value in food will be donated to OZ Harvest for those in need. Free music equating to charitable free food? What is stopping you? 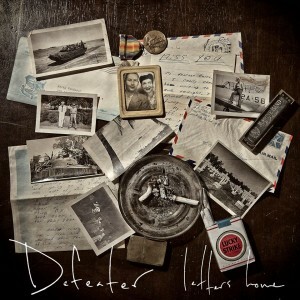 Single ‘Lost At Sea’ is a highlight from OH! A slice of shimmering indie pop that soars with an unbelievably catchy chorus hook, it reeled me in. The accompanying video depicts an unconventional take on a flash mob in an underground subway station. If you want to have an idea of what my dance moves are like, you must look no further. Like all flash mob videos, it warms my heart to toasty temperatures and makes me want to get groovy in the public domain. Try Appleonia out for yourself below. Happy Valentine’s Day to us all from Eliza Doolittle. 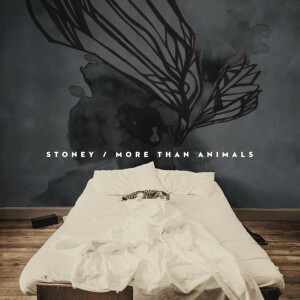 Listening to Stoney‘s new full-length album More Than Animals, what is most impressive is that practically everything was written and performed by just one guy. Of course, that’s not the most uncommon thing in music, but the sheer breadth of styles and sounds found on the album make it a particularly shocking fact. After moving from the U.K. to Austin for “sunshine and change,” Mark Stoney continued to make a name for himself with his band Bobby Jealousy, a collaboration between Stoney, Seth Gibbs, and Sabrina Ellis. But it’s his return to making music on his own that allows him to spread his wings. More Than Animals is at once challenging and impossibly catchy. Last year we enthusiastically shared Sydney-based indie-rock quartet Monks of Mellonwah‘s Neurogenesis, an EP that showed off the group’s technical ability and strong songcraft. 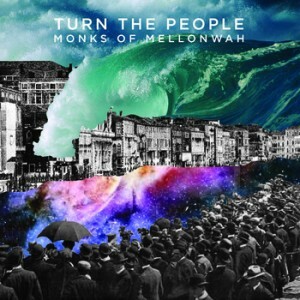 And after a year of releasing increasingly great great music like their Sky and The Dark Night concept EP, the Monks are finally ready to release their first proper LP, Turn The People. Listening to the album, you get the sense that the band has fully come into its own skin. Musically and lyrically, the album is confident and polished rather than wide-eyed and over-reaching like many debuts.